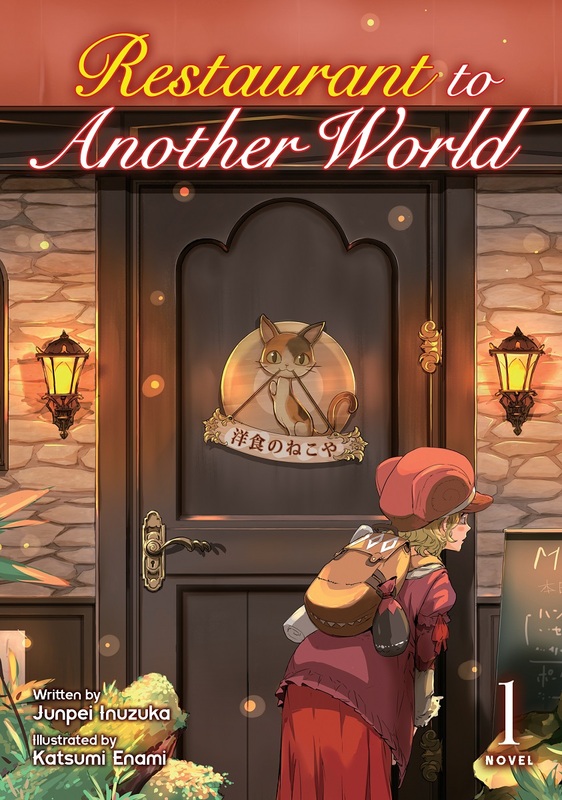 Restaurant to Another World Novel Volume 1 is written by Junpei Inuzuka and features illustrations by Katsumi Enami. In Tokyo lies a small restaurant called “Western Cuisine Nekoya,” ordinary in every way—save one. Every Saturday, its door connects to another world! 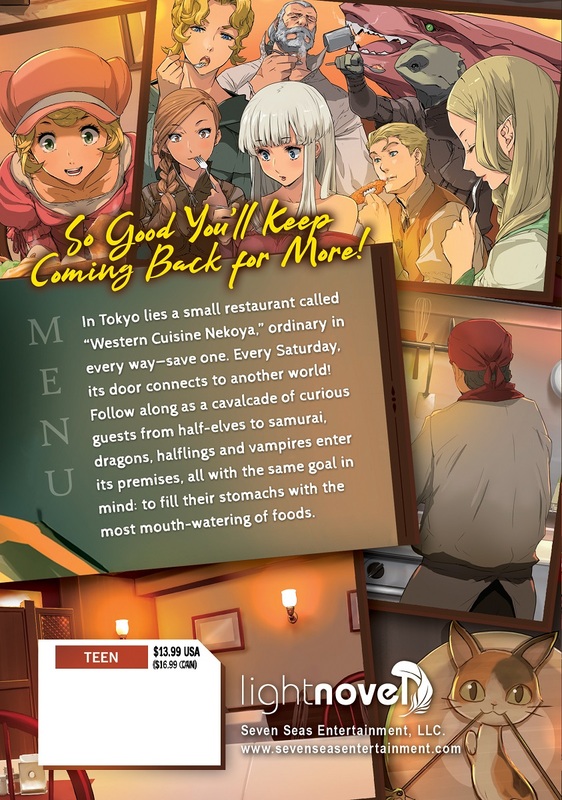 Follow along as a cavalcade of curious guests from half-elves to samurai, dragons, halflings and vampires enter its premises, all with the same goal in mind: to fill their stomachs with the most mouth-watering of foods.